With Google’s new release of an SSL Certificates having a small ranking boost on search engine ranking, we’ve decided to release an easy tutorial on installing one of our certificates on an Amazon EC2 Ubuntu server. 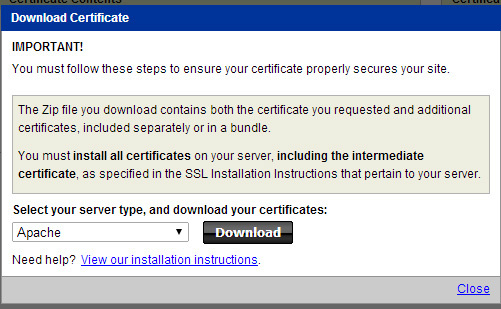 So let’s dive into what needs to be done to install our Standard SSL Certificate with Amazon. SSH into your server using Putty (in Windows) or via Terminal (in Mac or Linux). Then you type this command to actually generate the CSR that will be going into the admin panel. It will begin to generate and ask your for the following info — Country Name, State, Locality Name, Organization Name, Unit, Common Name (domain) and email address. For more information on what to input here visit this help article. 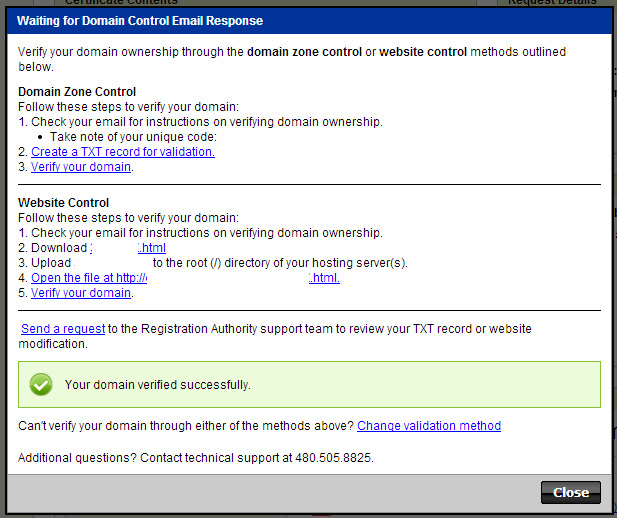 and then copy that into the next section within the Domains at Retail SSL Management panel when required. Upon launching, you will want to set the SSL to use a Third Party, Dedicated Server or Virtual Dedicated Server option. Note, this would also work when setting up ssl for different providers other than Amazon, such as Rack space. We’re just focusing on Amazon for this blog post, due to its popularity. In the “Enter your CSR below” we will want to paste in the contents of the “website.csr” file we created earlier in the process. From there click to agree to the terms and conditions, and click Next. You will then receive confirmation that your SSL is setup. From there click the “Whats the hold up?” and you can start the validation. 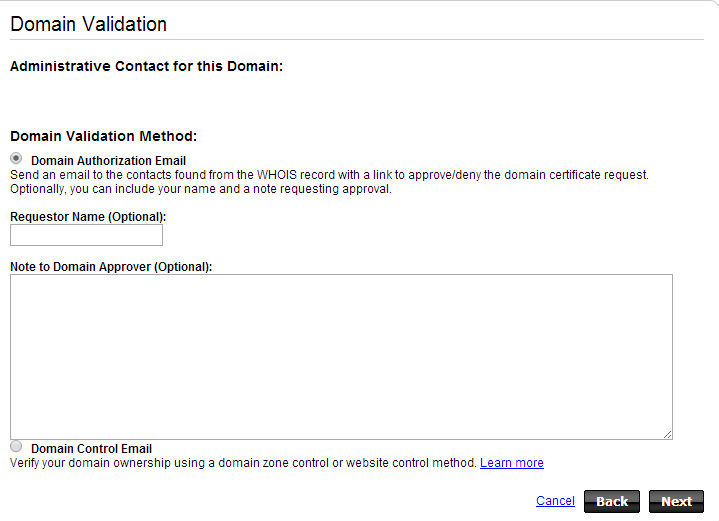 Here it will give you instructions to download the verification file under “Website Control” and after it has been uploaded to your site, click Verify the domain. You will get a green message indicating it was successful. Using a program like WinSCP or program of choice to get files onto your Amazon Server, upload the files you just downloaded. In our case there were two files in the zip — both “.crt” files — our main one “file1.crt” and a sf_bundle-g2-g1.crt file. They should be uploaded to the /etc/apache2/ssl/ folder as created in our earlier steps. 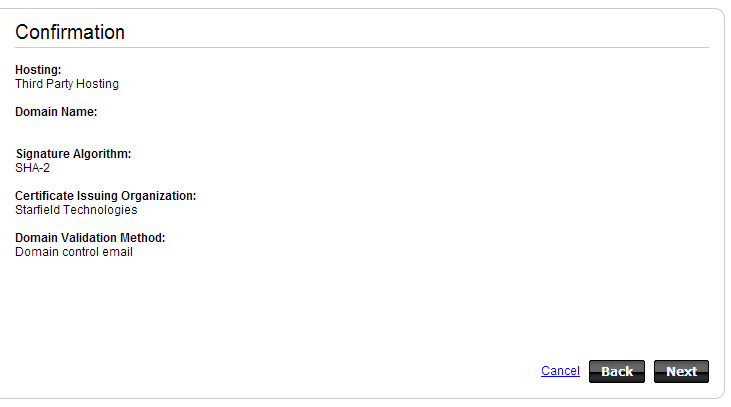 At this point, all we need to do is enable the VHOST for our site to render the SSL pages. You will either need to create a new VHOST entry if its a new site, or add this to an existing entry for your site. Website.key is the one we created in the beginning steps. File1.crt will be named something like 12aaaa12.crt when downloaded. Name this to whatever you have received. The SSL Chain File is required to work as well, which is the second file included in the download. One last step is to ensure SSL traffic is enabled or your security group in Amazon. By default, Amazon does not enable this as not all sites will need it. 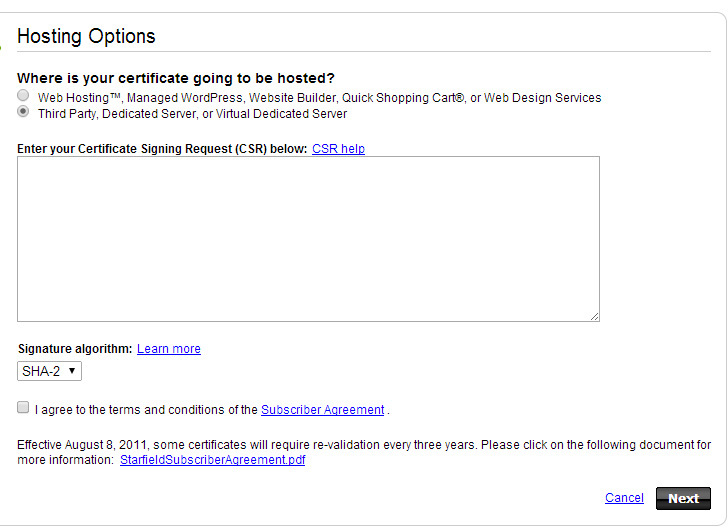 Log in to your Amazon account, go to EC2 and your server instance. From their click on the Security Group assigned to your site, and enable HTTPs traffic for Inbound. Load your site and you should now be able to run https! Just make sure to redirect any http url’s to https, so your not serving the same content up twice by mistake, as this would be bad for SEO and hurt your Google rankings. One main reason to add SSL is for Google rankings — we don’t want to gain a little, and lose our seo by serving duplicate content. Any questions? Problems getting it setup? Send us a tweet @domainsatretail!